Love your sport? 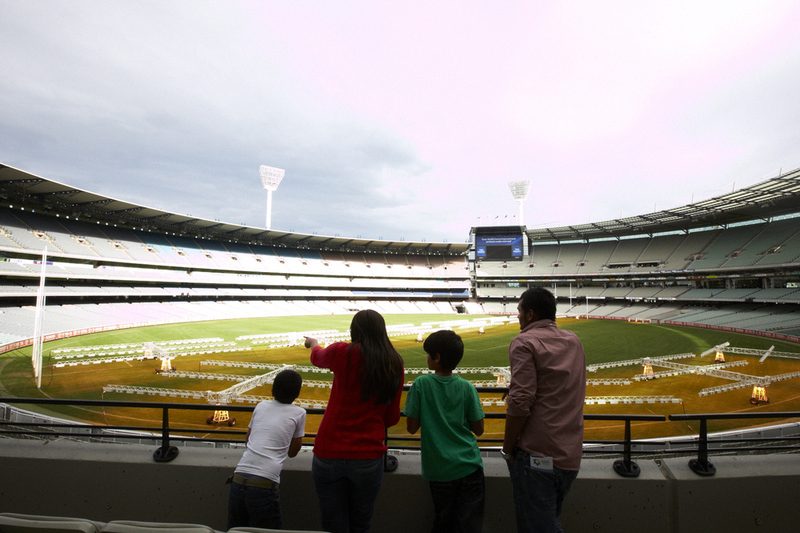 You will love our Sports Lovers Tour including the Melbourne Cricket Ground & National Sports Museum! NSM - Explore The National Sports Museum, located at the iconic MCG, features more than 2500 sporting artefacts and extensive multi media displays. Showcasing the great moments in Australia's sporting history, the museum will include a number of permanent and temporary exhibitions focused on Australian football, boxing, basketball, cricket, cycling, Olympic and Paralympic Games, soccer, tennis, rugby union, and rugby and rugby league. Also included will be the MCG story and an extensive interactive area for kids of all ages. More than just a museum, it captures the spirit of Australian sporting life and relives the moments that have shaped Australia's rich sporting traditions and cultural heritage.